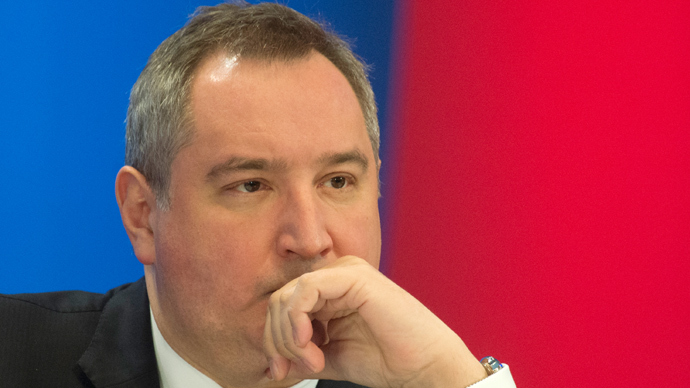 Russian Deputy PM in charge of the defense industry has said it would continue cooperation with foreign companies and promised state support to those who plan to enter the Russian market. “We have no thought of throwing the country into complete self-isolation, of dropping the iron curtain. 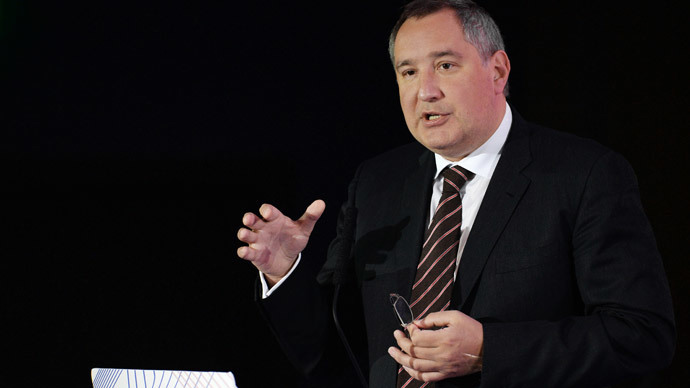 It would be a disaster not just for the defense industry, but for the entire technology sector,” Dmitry Rogozin said at the Oboronexpo-2014 forum that is taking place near Moscow this week. He emphasized that Russia is interested in cooperation with foreign partners and was not planning to put any barriers between it and them. 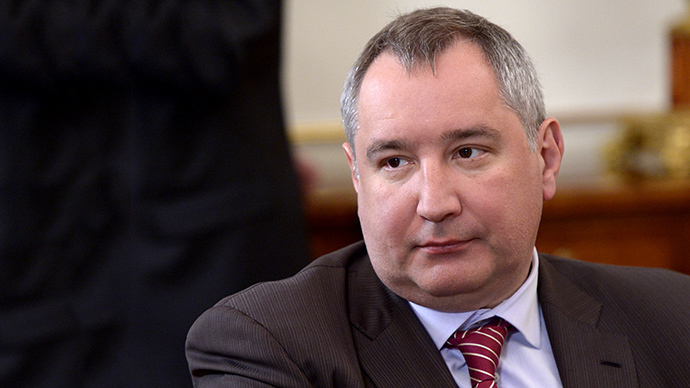 The Deputy PM also thanked the representatives of foreign companies who had chosen to attend the major Russian arms forum despite the unfavorable political situation. 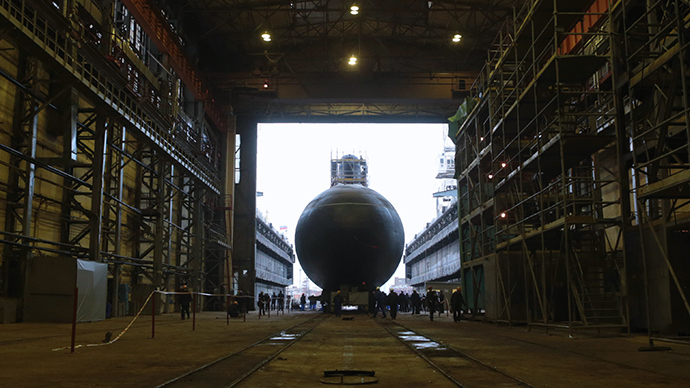 He said that industrialists who maintain ties with Russian defense corporations could count on support from the government as well as those who only plan to enter the Russian market. 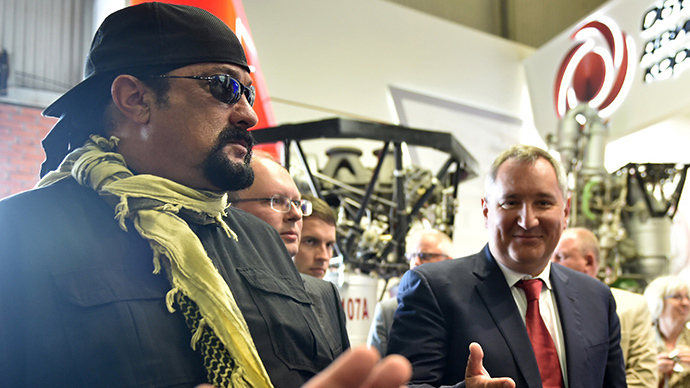 Rogozin is known for his personal promotion of Russian defense enterprises and on Thursday he lived up to this reputation by escorting US actor Steven Seagal at the exhibition of Russian weaponry. “I invited my friend here, a lot of people criticize him at home, it is not an easy time for him right now,” Rogozin told reporters as Seagal was looking at the newest rifles produced by the Tula arsenal. “In general I would like to say that there are people in the US political and cultural elite who hold opinions different from the ones of Ms Psaki. The times of sanctions will pass and cooperation needs to remain. And the cooperation will be based primarily on mutual respect,” the Russian arms boss said. Oboronexpo-2014 is taking place between August 13 and August 17 in the suburban town of Zhukovsky near Moscow. 212 Russian and 8 foreign companies are taking part in the show presenting the latest models of weapons and other military hardware. Earlier this week the head of Russia’s state owned arms exporter Rosoboronexport, Anatoly Isaikin, said that he expected arms sales to foreign buyers to remain steady until 2016. Russia sold $13 billion worth of weapons in 2013, with about 37 percent of that in aircraft, 26 percent going in air defense systems, 21 percent to tanks and other army weapons, and 12 percent in naval sales. Russian officials also said they did not expect the arms market to be hurt by the current sanctions war. “The sanctions didn’t affect our arms markets. They are traditional, and we still have them. The purchases of our arms will not go down,” Igor Sevastyanov, deputy head of Rosoboronexport told reporters.